Spacious and charming holiday cottage, which was originally a miller's house situated in a beautiful valley of the Lot. 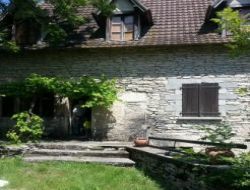 Gite for 2 to 4 people, in the peace with terrace and private garden. A beautiful romantic escapade or an ideal holiday resort to discover the Lot and the Dordogne. At the heart of the valley of the Dordogne, near the main interest places of the Lot, in 100m from the river Dordogne, discover this former renovated house. Very old holiday home restored, for 6-8 people, any comfort, near the village of the village, 300 m of the Dordogne. It is a very quiet place with a large garden. Gite for group located in the heart of the Parc Naturel Régional des Causses du Quercy. 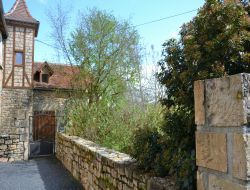 Located on the GR65, 20km of Figeac, Ecoasis welcome 30 persons. The views of the Causses du Quercy: meditative their horizons and the light shining on this place will bring you welfare and disorientation. Holiday home close to Souillac, between Sarlat and Rocamadour, renovated and all comfort for 2 to 5 people. 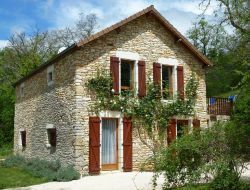 Holiday rental ideally situated to visit this wonderful and rich region of Quercy-Périgord, in the peace of a hamlet just a step from the Dordogne. 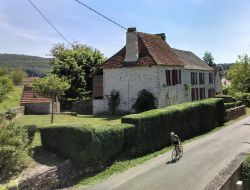 Rent of a restored house in small typical village of the Lot classified " one of the most beautiful villages of France ", being able to welcome up to 6 persons. 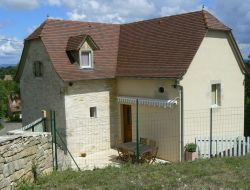 Holiday home close to Padirac and Rocamadour, enclosed ground, outside terraces. 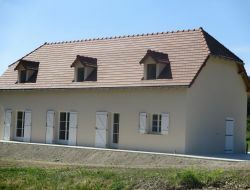 Completely air-conditioned holiday home for 4-7 people in the Lot(Midi Pyrenees). 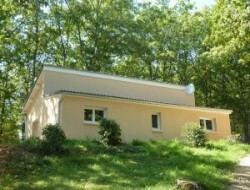 Holiday cottage of 70m², 2 bedrooms, in the peace in oaks forest, with all shops on spot. Ideal to visit the most beautiful interest places of the Lot, the Dordogne and the Corrèze. Completely renovated in 2014. Holiday cottage in the peaceful countryside of the Lot, with not closed ground and garage. In the ground floor, a kitchen, a dining room, lounge, on the 1st floor, 3 bedrooms and a bathroom with toilets. Tv, washing machine, equipment baby (highchair, booster seat, bathtub) and garden furniture.